Well after the runaway success of Sonu Ke Titu Ki Sweety, Kartik Aaryan has gained fame as the quintessential lover boy. Taking the image a step further, the actor is all set to play the lead in another love story. 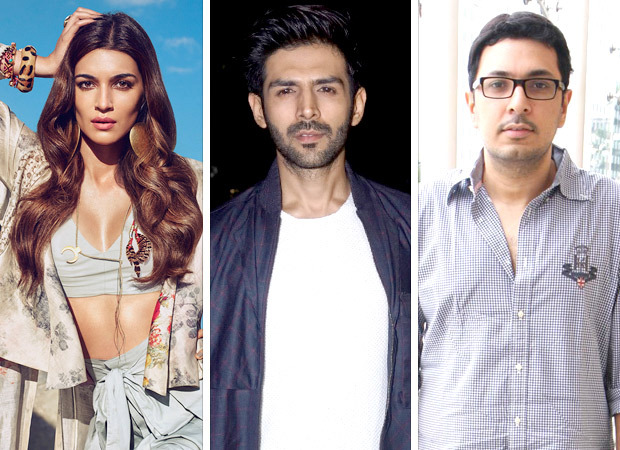 We are taking about Dinesh Vijan’s next titled Luka Chuppi [hide-and-seek] starring Kriti Sanon. Interestingly, Dinesh Vijan also gave us a sneak peek into the characters the duo will be playing in Luka Chuppi. “While Kartik is the quintessential good boy every girl wants to take home to mamma, Kriti represents today’s youth who advocate gender equality and have their own ideology,” informed Dinesh. When these characters collide in the story, not surprisingly romance blossoms as the film travels from Mathura to Gwalior to Agra. In fact, the film is also expected to have small town quirks and characteristics that add to the story. “My films have always been content-centric and real India is in these small towns. That’s where the stories are. And well-told desi stories have a terrific connect with every kind of audience, going by the super success of Hindi Medium not just back home but also in a country like China where Hindi is not even their medium of communication,” he reasoned. Kriti is originally from Delhi, Kartik is a Gwalior boy. “The dialogues have a touch of the local dialect and being from the region, both are familiar with the setting and the lingo,” stated the producer and we hear that this primarily prompted Vijan to get them on board. “They also have a crackling chemistry,” he beamed. Considering that love is the main ingredient in this game of hide-and-seek, the film we hear may possibly release during Valentine’s week next year. Owing to the fact that Sonu Ke Titu Ki Sweety too released during the same time this year, let’s see if Valentine’s luck works for Kartik once again. Directed by Laxman Utekar, Luka Chuppi is slated to go on floor in August this year.